Laser Hair Removal Chicago: Want To Feel Beautiful In 2019? Visit Our Spa For The Best Services! As we enter into the new year, many residents in the Windy City are looking forward to starting fresh. Whether you are planning on spending more time in the office or committing more time to the treadmill, it helps to start off on the right foot by making a statement. People often invest in a new wardrobe, pick up a new pair of running shoes, or schedule a new haircut to make small investments toward a bigger change. Regardless of your plans going into 2019, taking the time to refresh your body and your appearance can go a long way toward energizing you for the changes ahead. If you’re ready to get started, our Top Rated Local® salon is here and ready to help! Allure de Vie is here to serve as your salon and spa establishment in Chicago, providing the best laser hair removal in addition to our complete lineup of luxurious services. If this year is the time for you to create the best changes for yourself, be sure to contact us to schedule your appointment! New year, new you. What better way to showcase your positive outlook in 2019 than to invest in a stylish hairdo? Our stylists provide a full array of services to help men, women, and children achieve a fresh look that sets the tone for the rest of the year. We specialize in hair texturing, perms, and restorative therapy for damaged hair. Chicagoans looking to enhance their look can stop by our Salon on Northwest Highway for the best nail services in the area. Allure de Vie is proud to deliver a full range of mani/pedis, including custom nail services and add-ons. Our team can beautify your digits completely, including polish changes, chip repairs, and more to ensure you leave our building feeling confident in the way you look. If unwanted body hair is keeping you from feeling your best, Allure de Vie is here to offer comprehensive waxing as a part of our beautifying salon services. Our team focuses on creating the smoothest skin possible, providing affordable outcomes that you will absolutely love. Sure, waxing is great for achieving that smooth look for a month or two, but many clients we assist come in searching for a more long-term answer. Allure de Vie is proud to be your trusted source for safe, painless laser hair removal in Chicago. Relying on our Alma Lasers™ technology and the best training in the industry, our full-service salon and spa is able to deliver effective hair removal that eliminates the hair follicle at the root, leaving you with seamless skin that you’ll have to see and feel to believe! Based on the size of the area being treated and the tone of your hair, our laser treatment team will be able to provide FDA-approved services that show an amazing improvement after just one session. Updating your look while receiving a luxurious pampering at our day spa doesn’t have to be a solo adventure. Allure de Vie offers party packages that include full spa services, nails, facials, makeup, and more. Get the whole gang involved for a fun, affordable experience that will have everyone excited about their look going into 2019. 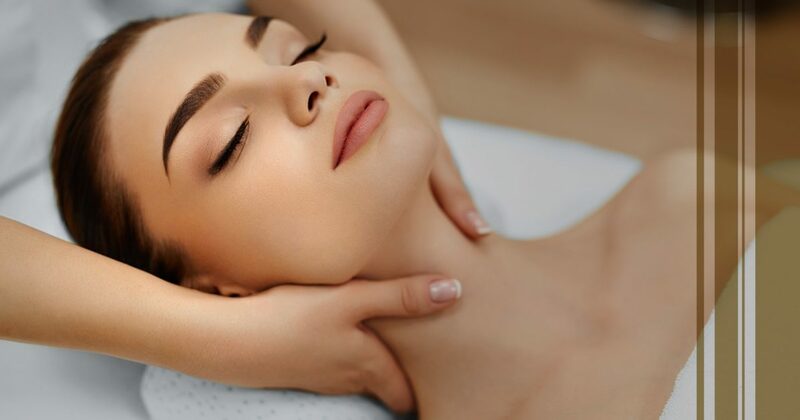 From top-notch salon services to complete laser hair removal, our Chicago team is here and ready to pamper your body, rejuvenating your spirit while leaving you with a beautiful appearance that you’ll be happy to show off. Contact us today to learn more, and be sure to ask about our current deals and specials!